The most wonderful time of the year is almost upon us, but first, you have to make it through one of the most trying times of the year: gift-buying season. You probably have an idea of what you’re going to get your partner, your mom, and your siblings, but what do you get for your nieces, nephews, and other little ones in your life? To help make your holiday shopping a little easier, we examined lists of this year’s most popular toys from Amazon, Walmart, and Target. Then, we weeded out any toys that might be deemed “annoying” by parents—no bells, sing-songs, or rockets here. That leaves us with a list of 10 popular toys that will make you a champion gift giver in the eyes of both kids and parents. These games are so fun that kids won’t realize they’re learning. Get kids to put down Angry Birds for a minute with the super cool Osmo Genius Kit for iPad. This award-winning, educational game combines the electronics kids so love with tangible game pieces, creating unique activities that encourage visual thinking, problem-solving, and more. Parents who reviewed the kit love that it’s adjustable for different sized iPads and that it keeps their kids busy for hours with something other than YouTube videos. This cool gadget makes friendship bracelets in minutes. 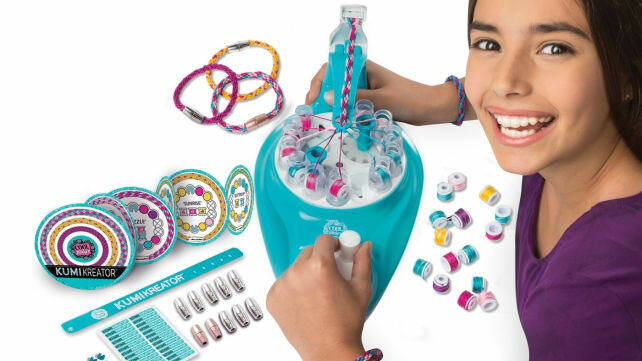 The KumiKreator Friendship Bracelet Maker Activity Kit topped the list of most coveted toys at all the major retailers. This snazzy little machine uses spools of string to create colorful, intricate friendship bracelets in a matter of minutes. Young girls will absolutely love this gift. If you’re lucky, maybe they’ll even make you your own bracelet as a thank you present. 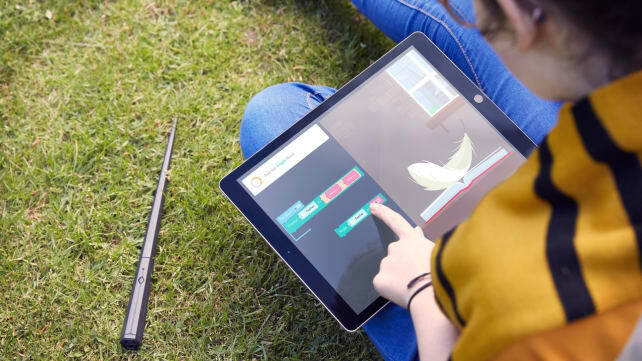 A magical wand that teaches coding? Sign us up! I know quite a few adults who will be disappointed this next toy didn’t exist when they were growing up. The Kano Harry Potter Coding Kit teaches kids the basics of computer coding with fun magical activities based in the world of Harry Potter. Kids will get their very own magical wand and learn to make feathers fly, grow pumpkins, and more magical spells. Honestly, parents will want to get in on the fun, too. 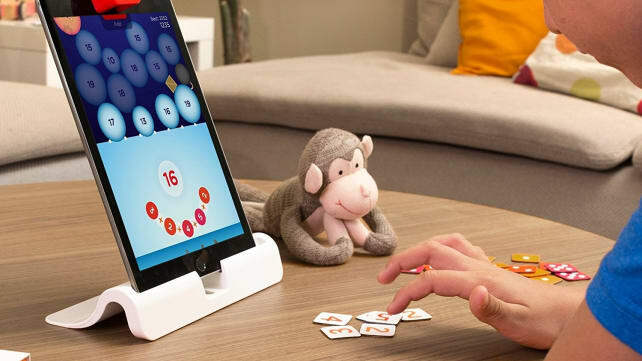 These cute, interactive monkeys will keep young kids entertained. The first generation of Fingerlings were little pets that kids could carry on their fingers and one of the hottest toys around. This year, the company came out with Fingerling HUGS, which are proving to be just as popular. 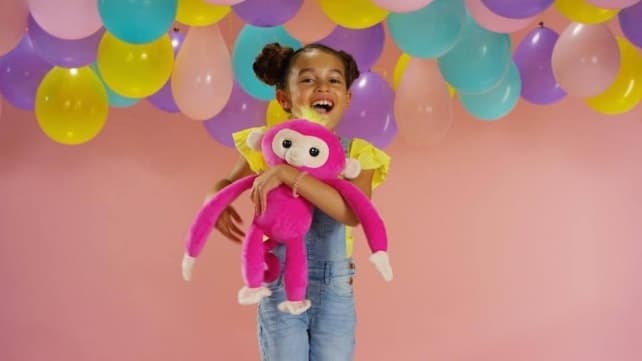 These plush monkeys act like little pets, and young kids will love petting them, swinging them, and talking to them. Plus, since they’re much larger than their predecessor, parents won’t be finding them all over the house. This is no regular dollhouse. It seems that L.O.L. Surprise dolls are the new must-have toy, and you’ll be the holiday hero if you show up with the L.O.L. Surprise House. While certainly not cheap or small, this dollhouse is jam-packed with details that will keep kids entertained for months. The high-quality product is made of real wood and comes with lights, sounds, and lots of hidden surprises. These cute little plushies are reversible—and scented. Pikmi Flips are all the rage right now—these “surprise” plushies are reversible, turning from a pom pom into a Pikimi. 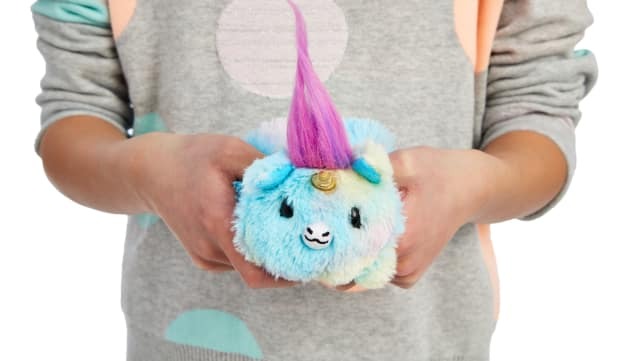 The catch is that you never know which Pikmi you’re going to get and kids can open up these “cotton candy” plushies to reveal creatures like a llama, bunny, and cat. The unicorn is supposed to be really rare and, as such, really coveted. This complex kit has more than 1,000 pieces! Even younger generations agree: Star Wars is still awesome. 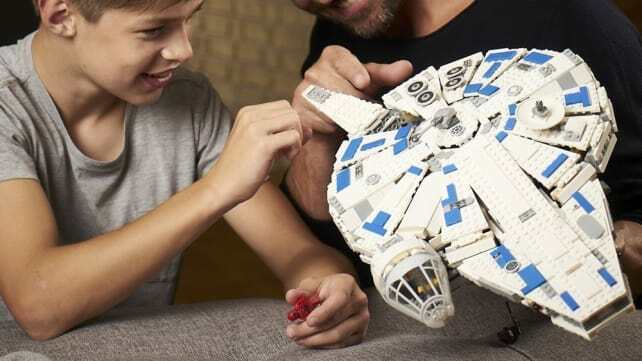 This timeless saga has captured the hearts of today’s kids, which is why this LEGO Star Wars Kessel Run Millennium Falcon kit is on the top of Amazon’s most popular toys. It includes more than 1,400 pieces that will keep kids busy for days as they build and admire their handy work. No remote control needed to fly this orb! Drones are so last year. In 2018, it’s all about Air Hogs, which are flying orbs that you control with your hands. 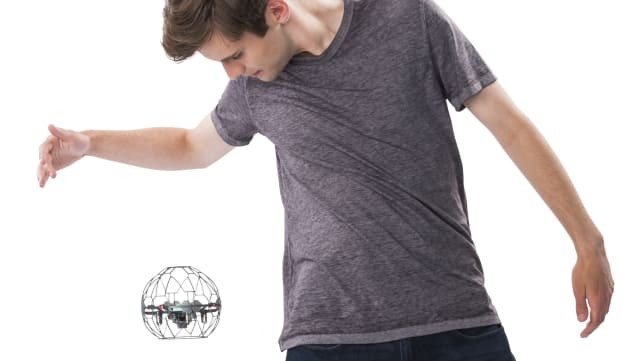 This gravity-defying toy uses built-in sensors to respond to your movements, so you can fly it around, doing tricks and moves without a remote control. Although it may be whizzing around, parent’s can rest easy knowing it’s small enough not to be a major disturbance inside. Little ones will love pretending to take care of animals. Why play “doctor” when you can play “vet” instead? 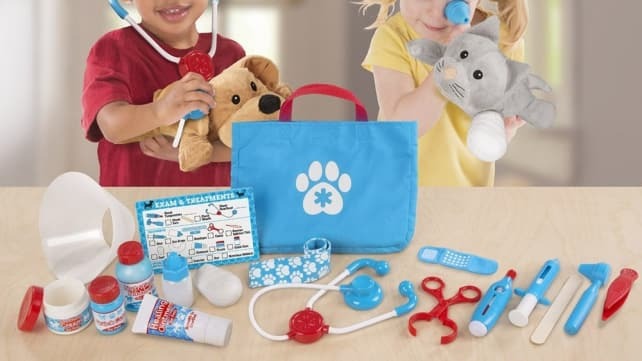 Toddlers will absolutely love this collection of 24 vet-themed toys, as it will get their imaginations churning. Plus, it even includes a stuffed dog and cat for them to practice on so they don’t end up chasing your real pets around. This little guy can play more than 10 games. 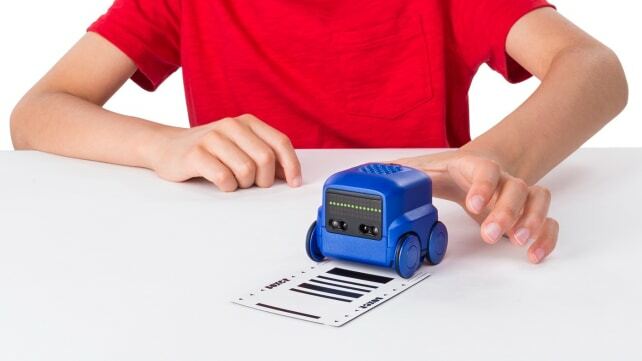 Robotic toys are not only fun, but they may inspire a passion for STEM in the receiver. This little artificial intelligence-powered robotic companion is a whole lot of fun in an adorable package. Boxer can scan activity cards and play a variety of games, and he expresses a full range of emotions to boot.